Jan Akkerman (born 24 December 1946) is a Dutch guitarist and lutenist. 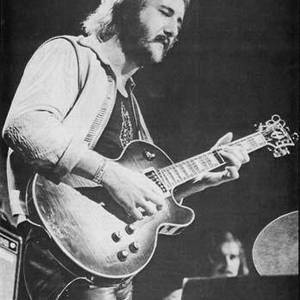 In 1973 Akkerman was chosen Best Guitarist Of The World by the readers of the UK magazine Melody Maker. In the 1970s, with Thijs van Leer he formed the core of the Dutch symphonic rock band Focus. Akkerman was born in the 'de Jordaan' area of Amsterdam, the son of a scrap iron trader. At age five he took guitar lessons and, at the age of fourteen, his first single was released. He was a member of Johnny and The Cellar Rockers, The Hunters and Brainbox, and joined the Thijs van Leer Trio in late 1969. Akkerman was born in the 'de Jordaan' area of Amsterdam, the son of a scrap iron trader. At age five he took guitar lessons and, at the age of fourteen, his first single was released. He was a member of Johnny and The Cellar Rockers, The Hunters and Brainbox, and joined the Thijs van Leer Trio in late 1969. They continued under the name Focus and scored a few world hits in the seventies. In 1976 Akkerman left the band and resumed a solo career. The reunion with Thijs van Leer in 1985 turned out to be unsuccessful, but despite that Akkerman produced several albums. At the same time he was active as a session musician with Andr? Hazes and others. Furthermore he played with Alan Price, Herman Brood, Peter Banks, Charlie Byrd, Ice-T and BB King. In 1992 he was involved in a serious car accident, but since 1993 has been active again. Jan Akkerman is a distinctive guitarist, constantly experimenting with new equipment and guitars. Akkerman's distinctive guitar sound is characterised by his pioneering use of volume swells which produce a smooth, fluty, sustained note. He writes for the Dutch magazine GitaarPlus.